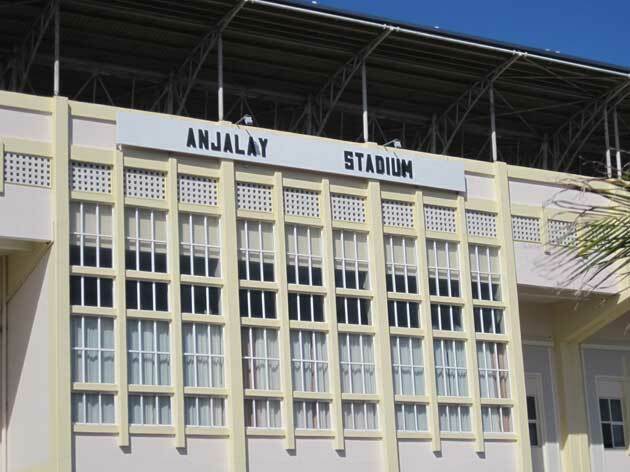 Anjalay is the home of Pamplemousses* SC, Arsenal Wanderers (formed 1885)and AS Riviere du Rempe. 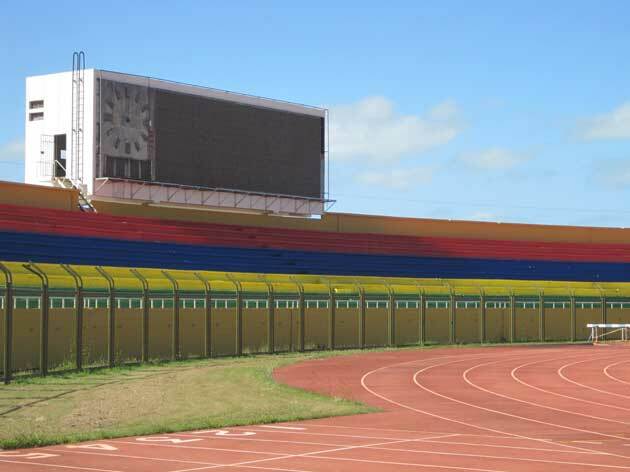 It’s mainly a soccer venue but is used for many sports – including motor racing in the surrounding carparks. According to our taxi driver Claude, soccer lovers in Mauritius are split 50-50 – Liverpool and Manchester United. “We love football but we don’t have a good team,” he said. 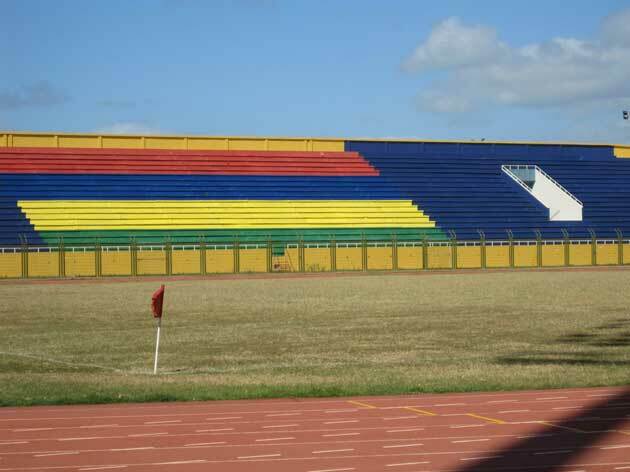 In the 2010 FIFA World Cup qualifiers Mauritius was in a group in the Africa zone with Cameroon, Cape Vedre and Tanzania. A one-all draw with Tanzania in their first game was the best result. 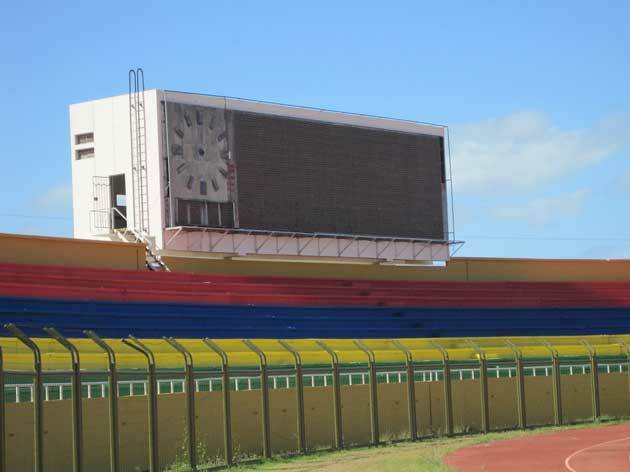 Mauritius scored three goals and conceded 17. Most will remember the shameful performance by France in the 2010 World Cup in South Africa. It started before the walk-outs, hissy fits and limp performances. 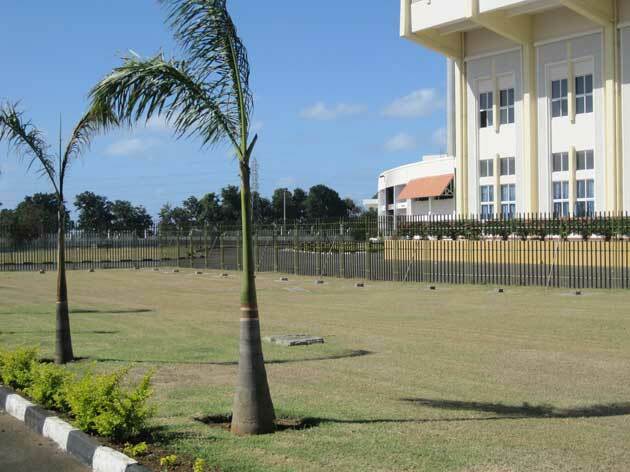 France was due to drop in at Mauritius for a pre-tournament training camp. The stadiums, including Anjalay, were spruced up and the French didn’t turn up. ← Scoreboard diary: a Big Issue, new numbers at North Port, a tribute to Taz.